Have you noticed a difference in your child’s mood, or are people noticing that your child doesn’t seem themselves? You are not alone. Statistics from the Department of Health from 2000 showed that 14% of young people have mental health issues. It is anticipated that this number today is much larger. While talking with family or friends can be helpful, for some young people, it can be difficult for them to talk with someone that they know. 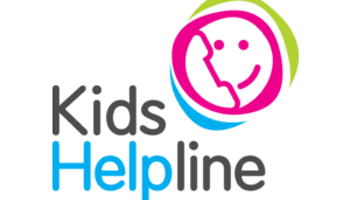 Kids Helpline is a free 24 hour counselling service for Australian kids and young people aged 5-25 years. You can get help over the phone, email or web. No problem is too big or too small and you can choose to chat with a male or female counsellor. Kids Helpline reports that the top five counselling concerns for young people are mental health, family relationships, emotional wellbeing, self-harming, and dating relationships. Furthermore, 90% of young people who have used Kids Helpline would recommend it to a friend. If you think that your child is experiencing difficulties with their mental health, it is important to talk with them and consult with your GP. Parents of children with mental health issues can also be supported by Kids Helpline’s sister service, Parentline. This service supports and nurtures positive, caring relationships between parents, children, teenagers and the significant other people who are important to the well-being of families. They can provide advice on managing the home environment.